The Spring/Summer issue of the Endeavor Magazine is now available by clicking here. This issue will be mailed in early June. 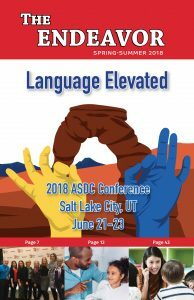 This issues features stories from the 2018 EHDI Conference, resources for your child and much more! If you are currently receiving an electronic copy and would like to upgrade your membership to receive a printed copy, click here.